Bacopa monnieri is used to support memory and learning retention. An exclusive extract of the Bacopa plant is the key ingredient of KeenMind. Discover more about CDRI 08 used in KeenMind and the key studies that support its benefits. Bacopa monnieri, also known as Brahmi, is a small creeping herb found throughout the Indian subcontinent. It is the memory and learning effects of Bacopa that have attracted the most attention in the last few decades and, in doing so, have become the subject of much clinical research. CDRI 08 is the specific Bacopa monnieri extract used by Flordis in KeenMind. It was first researched in the 1970s by the Indian government’s Central Drug Research Institute, and has been the subject of research for more than 40 years* to support its benefits for cognitive health. 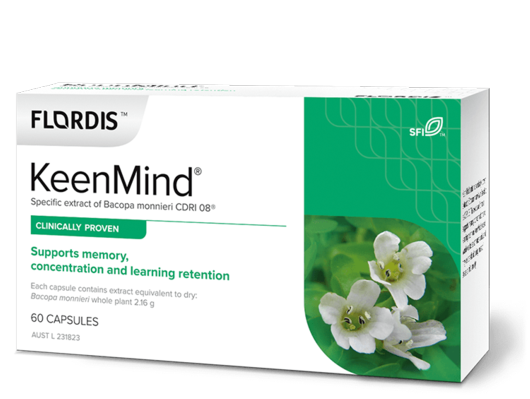 Pre-clinical studies suggest that Bacopa monnieri in CDRI 08 can help support brain function in several different ways. The specific CDRI 08 extract of Bacopa monnieri has been researched in multiple randomised controlled trials demonstrating that it can help improve cognitive function and is well tolerated at the recommended dose.1-6 The table below covers a selection of key clinical studies on CDRI 08. Natural healthcare products can vary considerably depending on how they are produced. KeenMind is produced according to our 'Source to Patient' philosophy which aims to deliver a high quality and consistent extract, from batch to batch so that you can be confident that it can deliver the health benefits demonstrated in the clinical research. 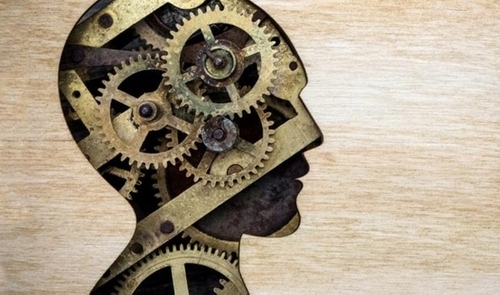 Through our rigorous processes, quality controls and extensive testing we help ensure that every batch of KeenMind can provide the desired health outcomes demonstrated by clinical studies. to support cognitive health, memory, concentration and learning retention. Stough C, et al., Psychopharmacology (Berl) 2001;156(4):481-484. Funded by a Research Grant from Keenmind Pty. Ltd.
Stough C, et al., Phytother Res 2008;22(12):1629-634. Roodenrys S, et al., Neuropsychopharmacology 2002;27(2):279-281. Raghav S, et al., Indian J Psychiatry 2006;48(4):238-242. Benson S, et al., Phytother Res 2014;28(4):551-559. Funded by Soho Flordis International (SFI). Downey LA, et al., Phytother Res 2012;27(9):1407-1413. Funded by Soho Flordis International (SFI). Simpson et al., Evid Based Complement Alternat Med 2015; Article ID 615384. The authors conduct studies on Bacopa monnieri (CDRI08) that are funded by SOHO Flordis International (SFI). Tamara Simpson is funded by an Australian Postgraduate Research Award to conduct this research. Professor Stough’s work on Bacopa monnieri (CDR108) is funded by a large grant from the Australian Research Council (ARC) DP1093825. Bhattacharya SK et al., Phytother. Res. 2000;14: 174–179. Mondal P, Trigun SK., Evid Based Complement Alternat Med 2015; Article ID 535013. Das et al., Pharmacol Biochem Behav 2002; 73 (4):893-900. Rajan et al., Neurochem Res 2011; 36 (11):2136-44 [S14-0165]. Rai D, et al., Pharmacol Biochem Behav 2003;75:823-830. * The extract CDRI 08 in KeenMind was initially researched in 1974 and is still the subject of ongoing clinical research.